AWD and a manual will still be available. What we’ve known for quite some time is that BMW is hard at work developing its next generation 3 Series sedan, codenamed G20, and it’s due to be revealed next October at Paris. We’ve and other , one of which was its platform, a shortened version of BMW’s flexible architecture known as CLAR. This also underpins the larger 5 and 7 Series sedans. However, a source with direct knowledge of the G20 3 Series is claiming BMW actually scrapped plans to utilize CLAR exactly one year ago today. Instead, the 2019 3 Series will ride on a newly designed front-wheel drive platform with the . Yes, you read that right. Here’s what’s going on, at least over at BMW HQ in Munich, Germany: The continued rise of crossovers is making it more and more difficult for automakers to sell sedans. BMW, obviously, has several crossovers, such as its new X2 and X4. When buyers walk into BMW dealerships intending to buy a 3 Series, they often end up in something with a nameplate beginning with ‘X’. 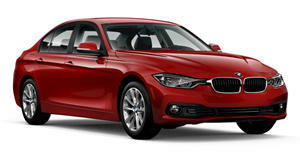 However, BMW noticed sales of the latest and recently redesigned Toyota Camry have been stellar despite both Toyota and Mazda having several crossovers of their own. 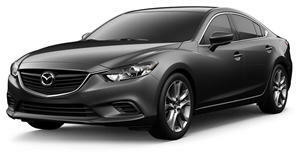 The Mazda6 has also been selling quite well and yet both sedans are FWD. Industry data indicated a loss in popularity for RWD performance sedans, likely because of higher fuel costs. Therefore, BMW’s best data specialists came to the conclusion that for the 3 Series to survive, it required a serious re-invention, and FWD was the clear choice. And like the outgoing generation, there will be an xDrive 3 Series variant too, as this new FWD platform, codenamed FOOLDU, was engineered from the get-go for AWD as well. And yes, a manual transmission will be on offer, at least for the next generation 3 Series, due in 2020. 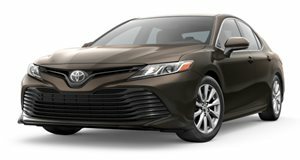 The inside source further noted that in light of Mazda benchmarking the new Camry, no longer BMW, for chassis tuning and overall refinement was the final decision maker for the company. BMW simply could not accept that.